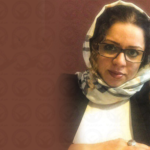 Human Rights Activists News Agency (HRANA) – Since women’s rights activist Najmeh Vahedi was arrested 11 days ago, her family has been struggling to learn more about the reasons behind her arrest on September 1st. 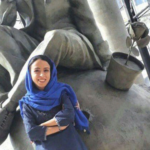 Najmeh Vahedi earned a BS in sociology from Tehran Allameh University and an MS in sociology from Tehran Alzahra University. 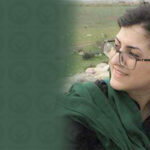 She is now in her third semester of Women’s Studies at Tehran Allameh Tabatabai University. On September 3, 2018, HRANA published a report on the detention of this women’s rights activist by security forces at her home. Over the past few weeks, civil rights activists–especially women’s rights activists–have been pursued by authorities with a renewed fervor. Women’s rights activist Rezvaneh Mohammadi and women’s rights activist and attorney Hoda Amid were among those detained recently. Vahedi and Amid had reportedly held educational training workshops for women inquiring about their rights in marriage contracts. At the time of this report, no further information was available on their respective charges, nor on the conditions facing them in custody. Human Rights Watch issued a statement on September 5th of this year asking Iranian authorities to stop the repression of human rights defenders like Amid and Vahedi and to immediately release those who are in custody for peaceful expressions of dissent. Amnesty International also voiced their opposition to this civil crackdown last week, demanding that affected prisoners be immediately released and that defendants not be limited to a list of regime-designated attorneys.